Disclosure: I received free products from Disney Parks and MomSelect in order to host the Disney Side @Home Celebration. The opinions expressed here are my own. 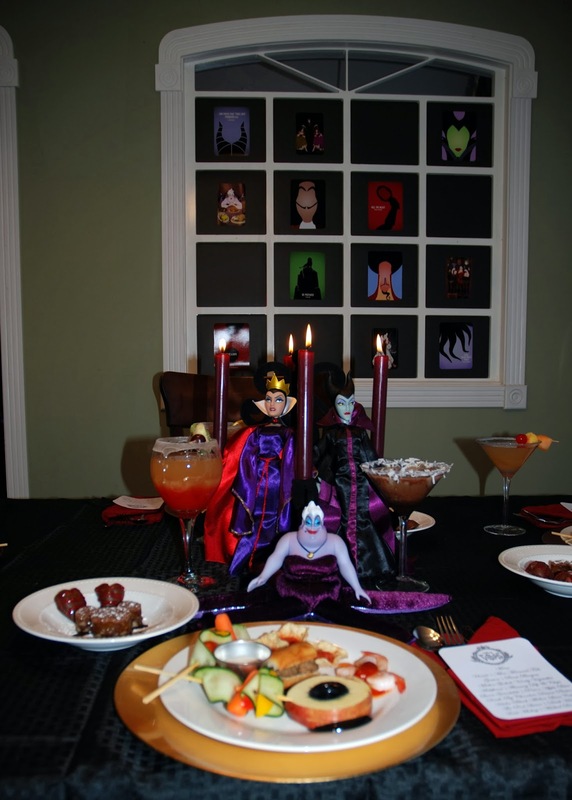 If you follow my Disney Party Boards you know I love to come up with themed names for the food I serve at my parties. 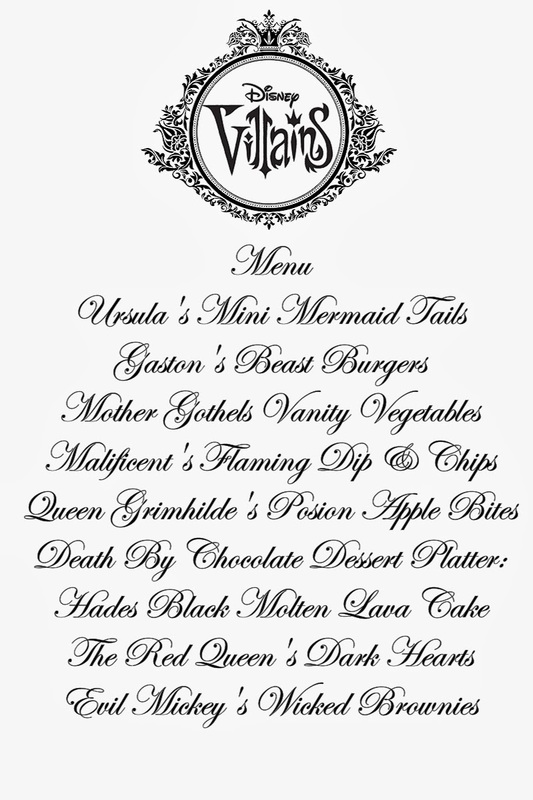 A Villains themed #DisneySide party is definitely going to need some fun names!! This party was a little different in that it was a plated meal and I included a menu at each place setting. Queen Grimhilde's Poison Apple Bites - Three apples slices cored and stacked with black caramel in the center. Evil Mickey's Wicked Brownies - The Poineer Woman's Knock You Naked Brownies cut out with the Mickey Icon cookie cutter I received in my kit. Each place setting had a gold charger, red napkin topped with a menu and one of the signature mocktails. The centerpiece was a scrolled black candelabra with deep red candles. 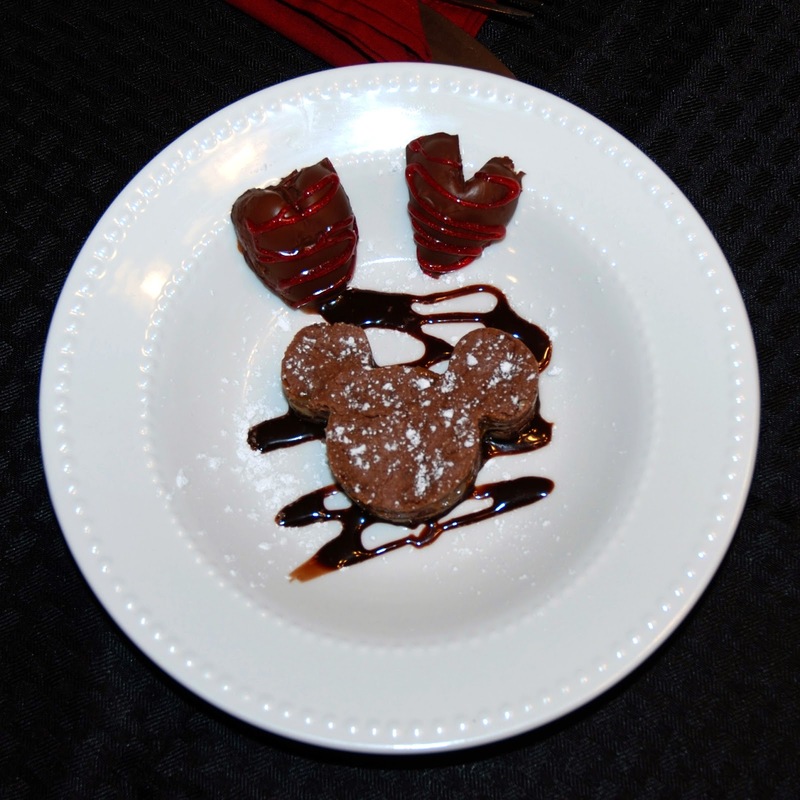 The Evil Mickey's Wicked Brownies were served in a shallow white bowl with a swirl of dark chocolate syrup in the underneath and a sprinkling of powdered sugar on top and two of The Red Queen's Dark Hearts. Tip: Put your cooled brownies in the refrigerator over night before cutting them, you will have a much cleaner cut. Here are the Mother Gothel's Vanity Vegetables I love how they turned out. Tip: If you are going to put carrots on a wooden skewer but a your hole in them first. Use a vegetable peeler to make your cucumber ribbons. The food was a hit, but the time spent with great friends was my favorite part of the evening. Thanks Amy we had a great time!! 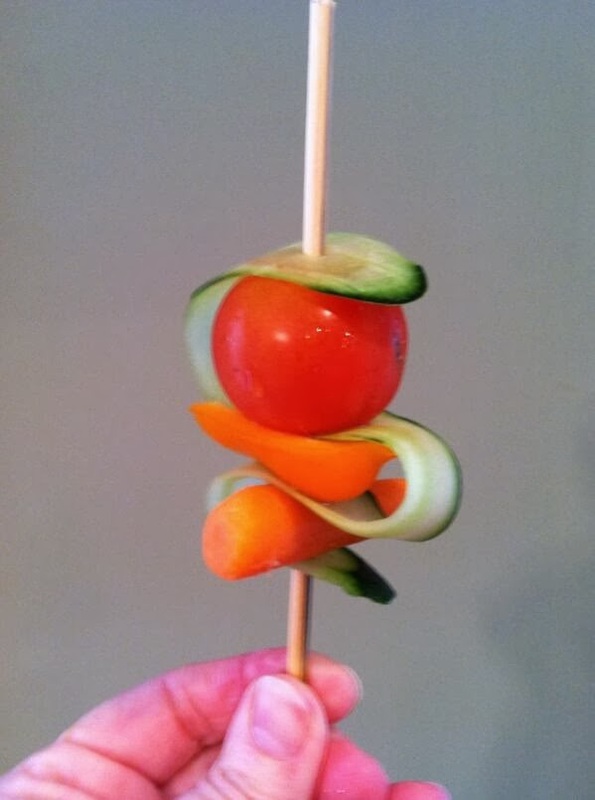 I would never even thought to make the skewers like that! So fancy. Thanks Mary, they were really easy. I love your menu! The food names are so creative. :) Great job!!! I am in awe of your party! Everything from the food to the drinks to the creative names fit perfectly with your theme. I would love to attend one of your parties! Great job! What a scrumptious looking menu. You certainly know how to party, Donna! Those skewers are awesome, so fancy, just like your invitations. Love your theme. Thanks for sharing your #DisneySide with us! Well, you know I think this is great! Those skewers are amazing! I would never have thought of that!